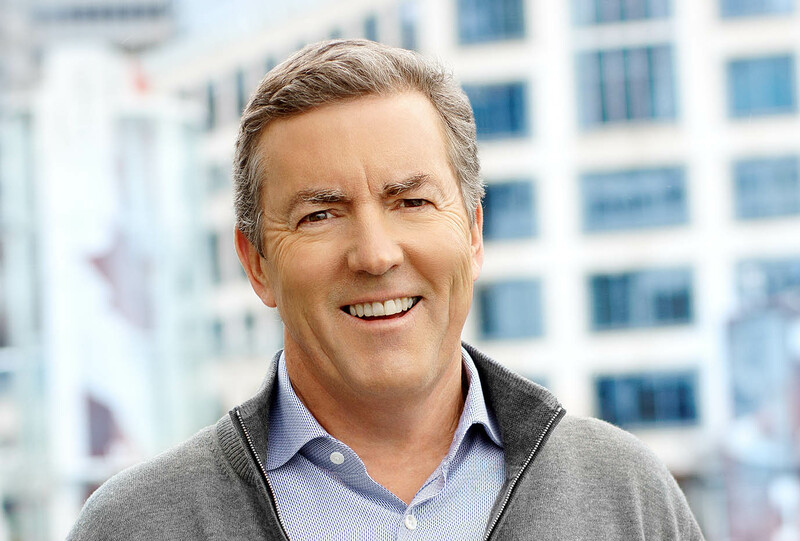 An interview about leadership in mining with Ross Beaty. Part of our Interviews with Mining Greats series. Ross Beaty needs little introduction to anyone involved in mining. Currently the chairman of Pan American Silver and Executive chairman of Alteria Power Corporation, Ross has created 14 successful businesses over four decades, creating more than $4 billion in shareholder value in the process. It’s not without reason that Ross is renowned for his impeccable timing, to the extent that he is regularly referred to as “the broken slot machine”. These days, you’re just as likely to find Ross championing clean energy or one of the environmental or philanthropic causes he supports. I spoke with him on the fringes of a mining conference in his home city of Vancouver. I have always been impressed by Ross’s willingness to share his knowledge. His colourful and direct way of talking made for a very illuminating conversation. Stratum: So Ross, what first got you into mining? I was born and brought up in Vancouver. I have loved the outdoors all my life and I wanted a job that would take me outside. I did geology in the first year of university, but I already had my first rock collection when I was eight. I just had an attraction to minerals and the earth, so it was a very easy step for me to go into geology. And once in geology I studied economic geology because I thought it would be full of opportunity to work in industry, potentially to own my own company which is something I had my eye on doing from a young age. I graduated from the University of British Columbia, then I went to the Royal School of Mines in London, came back to Vancouver for a law degree, just as a hobby. All the time I worked in the summer as a young geologist in BC, Alaska, South Africa, and Asia for different mining companies. In 1980 I finished my education, I started my first company, Beaty Geological Ltd, and I’ve worked for myself ever since then. I started my first public company, Equinox Resources, in 1985 and then there’s been a series of public companies since then. So it was a love of the outdoors plus an opportunity to be an entrepreneur, and it’s been a good run. Well, in 1980 I went to New Zealand for almost two years. I came back to Vancouver in 1982 just as the economy changed from a bear market to a bull market, and so there was opportunity in Canada to start as a young geologist. I built my first company up to the point that we had 33 geologists working with it by the mid ‘80s. Then when I started my first public company I had one of several epiphanies I’ve had in my life. It was apparent to me that when you run a public company you have a chance for a retirement fund, whereas if you run a consulting or a contract company it’s a kind of bread and butter business that doesn’t have that opportunity for a great outcome. I did my first deal and my public company bought my private company, I merged them together and I was able to acquire more shares in the public company and really run one business. That was an ‘all for one and one for all’ kind of thing where I had all my family involved as shareholders and everybody I knew, and it was head down and work hard. We had our big break by discovering a gold mine in Nevada called Rosebud, which ultimately led to the sale of Equinox in 1994. That allowed me to do many other things, and then as each company was successful I was able to build the businesses bigger and stronger. I’ve started 14 companies and 13 of the 14 have been huge successes, they’ve all been 10 baggers at least from the IPO. Stratum: Which is the fourteenth? The only one that hasn’t been a home run yet is my clean energy company that I started a few years ago called Alterra Power. It’s a different business. It doesn’t have that big upside but it’s a lot more stable and predictable. A different kind of business completely. It just doesn’t have that huge upside that you can get through discovery or increases in metal prices. But we’ve built a solid company now that will live beyond my lifetime, producing clean electricity. That’s my real dividend. I’ve been extraordinarily lucky in my career; I mean a lot of my success has been just being at the right place at the right time and making lucky discoveries. Though it’s true you make your luck to some degree. Stratum: Now you’ve gone from being the miner to investing in other people, are there criteria that you look for in leaders? The first thing you look for in an investment is who are the people running the business. It’s true that successful people tend to be serially successful, and you can see that with many people in the business, myself, Bob Dickinson, Robert Friedland, Lukas Lundin, Richard Warke and so on. But even an idiot can discover a mine, so don’t discount good projects either. Good projects that are really good, even if they’re run by fools, will still make investors money. But smart people can make money from mediocre deposits. The project also must be good, has to stand on its own. I like less risky projects, but it depends on the nature of the investment, the percentage of the company I can buy for a certain amount of money. The risk/reward ratio has to be right. I’m quite happy to swing for the fences and strike out. The thing that irritates me, though, and I’ve seen this several times over the last five or six years, is when a management team sells me a business plan saying that they’re going to take my money and spend it on X. Then they go and do Y with it. Those people lose their credibility, they often waste the money, they come back for more and they don’t get it. It’s so unnecessary, if somebody creates a plan that they sell to investors, they at least should follow the plan. This particularly happened in the 2010/2011 period when I was investing in some projects in Africa, Indonesia and South America. I was surprised at the management teams that just were flaky and surprisingly incompetent. They came across quite well in presentations, but they were incompetent at running the business. Now geologists aren’t all known for being good managers of money, they’re usually pretty spendthrift, they don’t look after detail very well. But that’s where you need to have a strong management team – a good geologist, a good financial guy and a good legal guy, a good team that creates success. Our business is fraught with risk, it’s not just technical risk, its social risk and political risk and timing risk and all manner of other risks. Stratum: If you had any piece of advice for a 29-year-old, either looking to embark on an entrepreneurial mining career, or even just someone that has a slightly different view to everyone else and just wants to follow that through in a more conventional capacity, what would that be? You have to know who you are. I was just a born entrepreneur, I’m a good salesman, I’m very impatient, I don’t suffer fools easily, I’m hard to work with but I’m quite driven. I work hard. I would make a terrible employee, but I need people who are good employees to make me look good, and they need guys like me to make them look good. There are a lot of people who try to be entrepreneurs who just simply aren’t by nature. My advice to a 29-year-old would be to look at yourself in the mirror and ask yourself if you’re better working as part of a team, or being the leader of the team, the person who can wrangle the cats? The entrepreneur needs to have the vision to make the big deals and then delegate to all the other guys in the team who are doing the hard work, to make it all happen. And monitor them to make sure it does happen. The other thing is having the right focus, I always tell people that you’re in a risky business so always try to go for size, look for big projects, because big projects make people big money if they work out. Little projects have all the hassle of big projects and none of the upside. So go for big projects always. Stratum: And if you could give your younger self, your 29-year-old-self, advice based on the last 30 years, what would you have changed? I made a million mistakes, and one of the mistakes I made was looking for little deposits and wasting a tremendous amount of time. The other was going to Russia, that wasted three years of my life. I probably would go back there, though; it was a huge project and the reward matched the risk. It was a great project to chase and I would probably do it again. There are parts of the world that are really, really difficult and so think twice about whether you have the stamina, the resources and the energy or whether you can handle the risk of being blown up. I would say anywhere in the CIS, anywhere in Central Africa, many Muslim countries where there is no rule of law, no governance. Indonesia’s tough, China’s tough. A lot of the world is tough. There are great opportunities there, though, and there are some people who have done very well in these places. I’ve had so much more fun, not just success but fun, working in places like Canada, America, Mexico, Chile, Peru, places that have been relatively easy. I would say think very carefully whether you really want to go into tough places. Because investors hate them, you’re always going to have a discount. Sometimes you can make things work and sometimes you can find world class deposits in these places that offset all the risk of getting in. Stratum: You’ve mentioned quite a few prominent names of people already. Is there anyone else that stands as a pioneer or an entrepreneur, or even up and coming? My dear friend Lukas Lundin is the guy who I just have enormous regard for, he works like a fiend, he travels all the time, he’s a lovely guy, he’s generous, and he’s a person I admire greatly. But there’s a whole bunch, I mean Bob Quartermain and Richard Warke do great jobs, Mark O’Dea, Noel Watson, Ivan Bebek, these are going to be the next generation of leaders in our industry. They’re very professional, they’re very nice guys and I wish them well. Stratum: Finally, are there two or three books that have set you on the path or that really influenced you? I read a ton of books, I read fiction, I read a lot of non-fiction. I’m reading some amazing natural history books. I read a book about bird migration called Living on the Wind by Scott Weidensaul. Just a magical book, the mystery and miracle of birds migrating. One of my favourite writers is a guy named E O Wilson who is a biodiversity guru who has written many books. A recent one is called The Meaning of Human Existence, which is a wonderful book about the biological facts of why we exist and whether we’re alone in the universe. Then his last book was called Half Earth, which made the case for preserving half of the world for nature as the only real way of surviving the biodiversity calamity that humans are inflicting on most of the world right now with our economic situation and population growth. I’m a big environmentalist, and like these kinds of books. But I also love WWII history and spy novels. I read all the time. Ross J. Beaty is a geologist and resource company entrepreneur with over 41 years of experience in the international minerals and renewable energy industries. Mr Beaty founded and is Executive Chairman of Alterra Power Corp., a mid-sized clean energy company with geothermal, solar, hydro and wind power operations in BC, Iceland and Ontario. He also founded and serves as Chairman of Pan American Silver Corp., one of the world’s leading silver producers, and has successfully founded and divested a number of other public mineral resource companies. Mr Beaty is President of the Sitka Foundation, one of Canada’s leading environmental foundations, patron of the Beaty Biodiversity Center at the University of BC and Director of several environmental NGOs, including Panthera and the Pacific Salmon Foundation. Amongst his numerous awards, the most recent include his induction into the Resource Hall of Fame, in 2015 the Vancouver Aquarium’s North Medal for Ocean Conservation and the Alumni Award of Distinction from UBC’s School of Law, in 2016. Ross was born in Vancouver, Canada and educated at the Royal School of Mines, University of London, England and the University of British Columbia. He and his wife have a son and four daughters.